This panzanella is so great and is hearty enough to be a meal. The flavors in this summer salad are so delicious and bold! The spritz of citrus gives it a great summer vibe! You will love the nutty flavor of the toasted pine nuts and the fresh basil with the spicy arugula! Cut the bread into thick slices and brush it with olive oil. Toast the bread at 325 degrees until golden and then cut it into 1 inch cubes. Toast the pine nuts for a few minutes until they are fragrant and lightly browned. Cut the basil in a chiffonade. Toss the bread and the greens with vinaigrette. Sprinkle the salad with grated Parmesan. 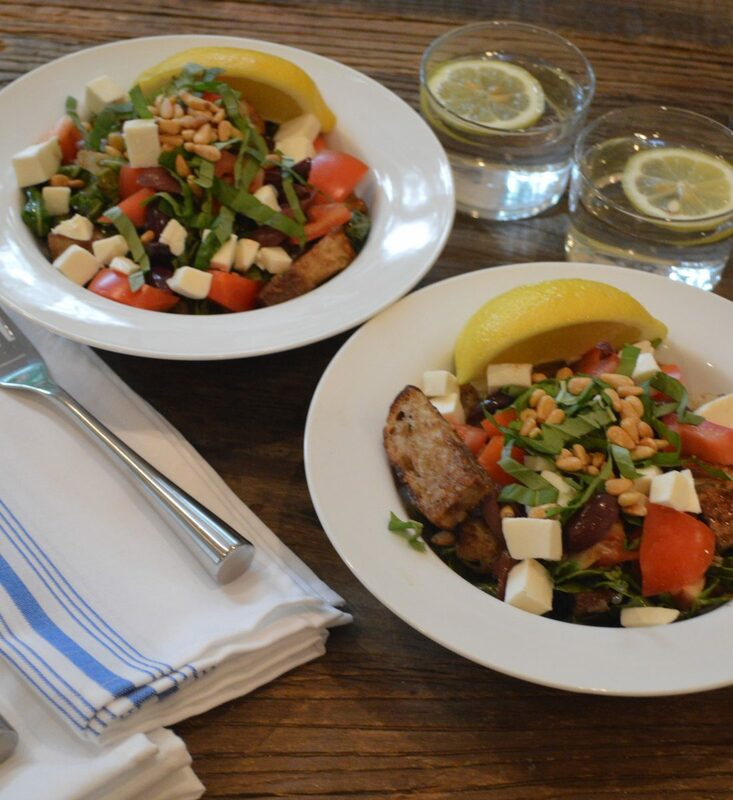 Top the salad with the olives, tomatoes, mozzarella, basil and toasted pine nuts and garnish with a lemon wedge.